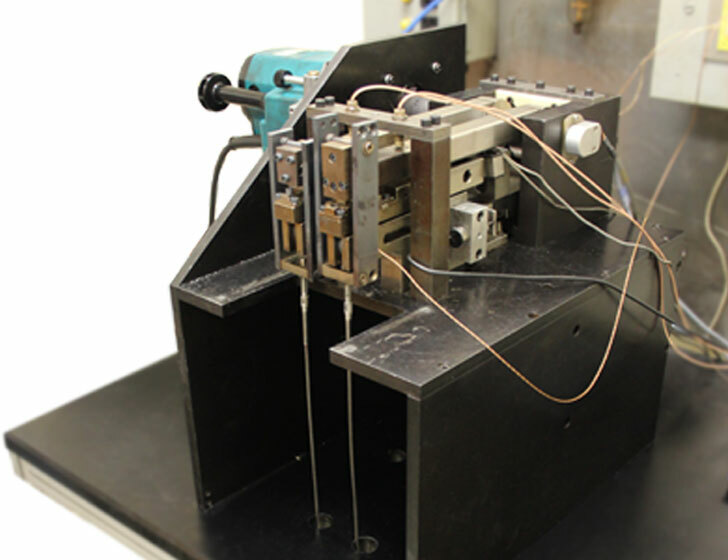 Wedeven Associates' Fretting and Translation Test machine (WAMft) is designed for extraordinary versatility. Material pairs varying in shape and size can easily be evaluated under fretting fatigue and wear conditions due to the flexibility of the machine. With customized test protocols tailored to each individual application, and advanced software for recording and monitoring data, an incredible variety of environments can be simulated. Often used to simulate high-frequency, low-amplitude vibratory motions associated with engine. Typically used to simulate lower frequency, larger amplitude motions often associated with the thermal expansion of components. The machine also includes data-logging software that monitors and saves data such as friction force, cycle count, temperature, and combined specimen wear depth.